If you are looking for a replacement for your existing masonry fireplace that doesn't make the work or mess of your traditional one, this 42-inch flush firebox for gas logs will fit the bill. It has hem bent seams which does away with the need for screws and fasteners, and it requires no venting! 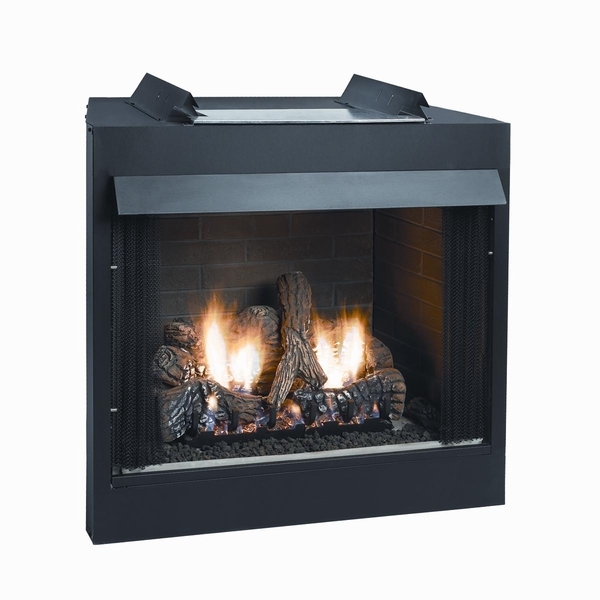 The banded brick ceramic fiber liner, and matte black hood adds a stylish look that will enhance any family hearth. It comes with a 5-year warranty and can be used with most 30-inch vent-free log sets.